Most of us lead ordinary lives. We have a job we go to every day. We drive our kids to after-school activities. We engage in our hobbies, such as running, reading, or playing board games with the kids. We relax with TV after dinner. Our days are pretty routine. However, occasionally something happens to mess with our routine. Something that can strike fear in our hearts, such as a fire breaking out at work. MLN Fire Protection in Houston works diligently to prevent fires in the workplace. We install, service, and inspect fire protection systems in offices, hospitals, and places of business. Our goal is to ensure the safety of workers in all the buildings that we service. However, even with perfect planning, fires can occur, and it’s important to know what to do if a fire breaks out at your workplace. Below, we’ll review the important steps you can take and how you can tailor your fire prevention plan at your workplace. Contact us today for all your fire protection system needs! Remain calm. As soon as we feel something is threatening our lives, adrenaline starts flowing throughout our bloodstream, giving us enormous energy potential to either fight or flee. This is your body trying to save itself. However, in the case of a fire or any other emergency, you’ll need to control this tendency to panic and instead remain calm and focused so you can think clearly and remember your fire safety plan. Taking a couple of deep breaths can help. Raise the alarm. If at all possible, you’ll want to set off the fire alarm. This will alert fire officials and everyone in the building that there is an emergency. 911 should be called, so fire trucks can be dispatched immediately. If your building has either a wet-pipe sprinkler system or a dry-pipe sprinkler system installed, this should go off once the fire system senses fire. Evacuate. Your next step should be to get out of the building as quickly as possible. If you are on a second floor or higher, do not take the elevator. Elevators are usually tied into your building’s fire safety system and are programmed to not operate when a fire is detected, and the last thing you want is to be stuck in an elevator while a fire rages all around you. Leave all of your personal belongings as collecting them takes time. Hopefully, as part of your fire protection plan, you have planned and practiced your escape route and where to meet in case of a fire. Take roll. Perform a headcount once you and others are outside the building. You’ll need to know if someone is missing and who. Do not under any circumstances return to the building to look for them. Instead, stick to your fire safety plan and inform emergency services personnel about the person who is missing. Put distance between you and the fire. Stay on the opposite side of the room of the fire. Seal all cracks and openings, such as door jams and any internal windows. Call 911, inform the operator of your situation, and remain on the line until you are rescued. If at all possible, do not break the window. Smoke from the fire can be pulled in. Instead, crack the window for fresh air, and hang a brightly colored cloth to alert firefighters to your location. If you are trapped on an upper floor and need to jump out the window, hang out the window with your feet toward the ground to break your fall. Cover your nose and mouth, preferably with a wet cloth. Take shorter breaths through your nose, holding your breath as much as possible. Crouch, don’t crawl. Noxious fumes are heavier than the air around it, so they sink to the very bottom of the room. If you encounter flames as you are evacuating, hurry through them, covering your head and hair. Keep your eyes closed as much as possible. If your clothes catch fire, stop, drop and roll, covering your mouth and face with your hands as much as possible. For fire safety, check the door knob or the upper part of the door for heat. If it’s hot, there may be a fire on the other side. Look for an alternative exit. Seal the cracks in the door. If the door is cool, open slowly and stand off to the side in case flames shoot through. If smoke and flames come in through the door opening, close the door, seal the door, and look for an alternate escape route. Open only one window and/or door at a time. Drafts can draw the fire in otherwise. Treat a small fire like you would a large fire. Sound the alarm so others can evacuate. A small fire is defined as a fire that is the size of a waste basket or smaller. You can try to extinguish a small, localized fire if you’ve been trained to use a fire extinguisher and feel comfortable doing so. In all other cases of fire in the workplace, for fire safety never attempt to extinguish a larger fire yourself. If you cannot extinguish the fire, or the room fills with smoke, evacuate immediately. 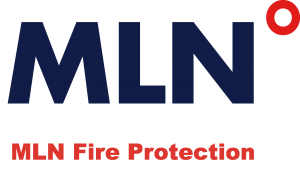 MLN Fire Protection cares about fire safety in the workplace. We have dedicated our lives to helping businesses prevent fires in the workplace. 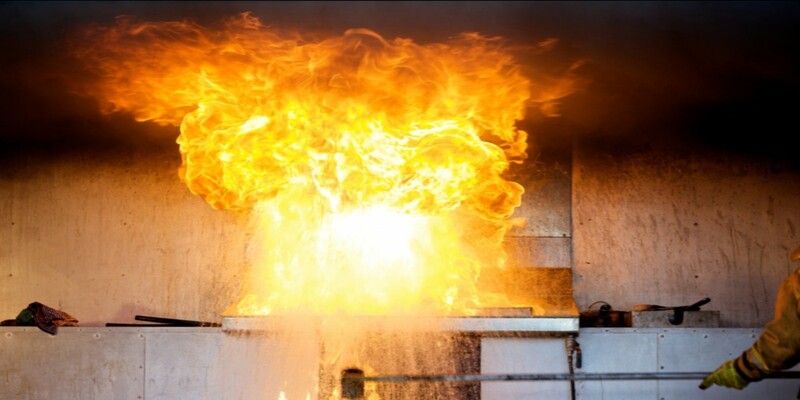 We design and implement fire protection systems using industry-leading equipment and technology to not only prevent fires but to extinguish them if one occurs. We also offer fire sprinkler repairs on your current fire suppression system. If you are interested in having your fire suppression system inspected or you’re looking to upgrade your existing fire suppression system in your office or business, give MLN Fire Protection a call. We service the Houston area, including Harris County, Fort Bend County, Montgomery County, Brazoria County, and Galveston County. Contact us today!